I use Grammarly's grammar corrector because of you know, Grammar Nazis! Although Mitch's book do sometimes feel like those self-help books (which I abhor), but the simplicity of the conversations, and the similarities with common life incidents depicted in his books make them stand way apart from any other genre. 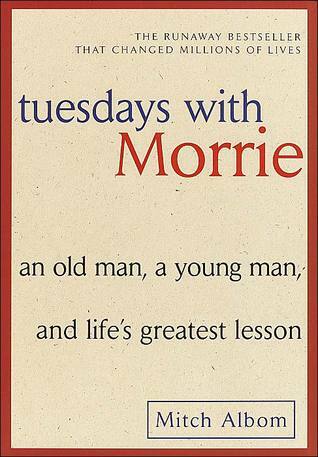 Tuesdays with Morrie, on the similar lines, is about a student and his teacher. Morrie Schwartz, a sociology professor dying of a big named disease is contacted by his favorite student from yesteryears - our Mitchy boy! and then starts the series of meetings between the Mitch and Morrie discussing a dying man's thoughts, regrets and lessons about life! The professor's views are neatly divided into chapters about death, fear, aging, greed, marriage, family, society, forgiveness and a meaningful life. Though a little on the preachy side, the book at the very least pushed me into thinking about a lot of things which I take for granted in real life. However, the irony of the book is, why did the sociology professor had to wait till the time he reached his deathbed before pondering about his life and all its important components! He practically spent his entire life researching about these components in other people's lives! :) Guess our Mitchy boy didn't get a 740 on GMAT! I insist you open it in a separate window and view higher resolution version. 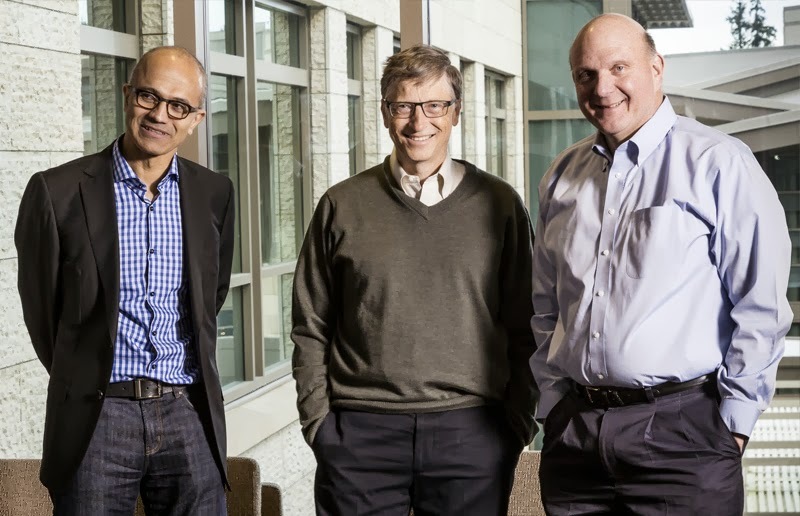 We see a 46 year old Nadella, a 58 year old Gates and a 57 year old Balmer. What struck me here, was the frail, old looking Nadella who is the youngest of the lot! Let's not digress! So Morrie and Mitch meet up for the next sixteen Tuesdays and discuss fundamental issues of life, while Mitch is making notes, and as a result we got Mitch's final thesis for submission to his best teacher, known as a book called Tuesday's with Morrie! The book is pretty thin, and unless you savor each and every word slowly, you will exhaust it in leisure read spread over 2-3 days! I was craving to read few hundred pages more of such simple conversation between a teacher and his student, but alas, it ended too soon!